Customize your logo and make it stick with them! 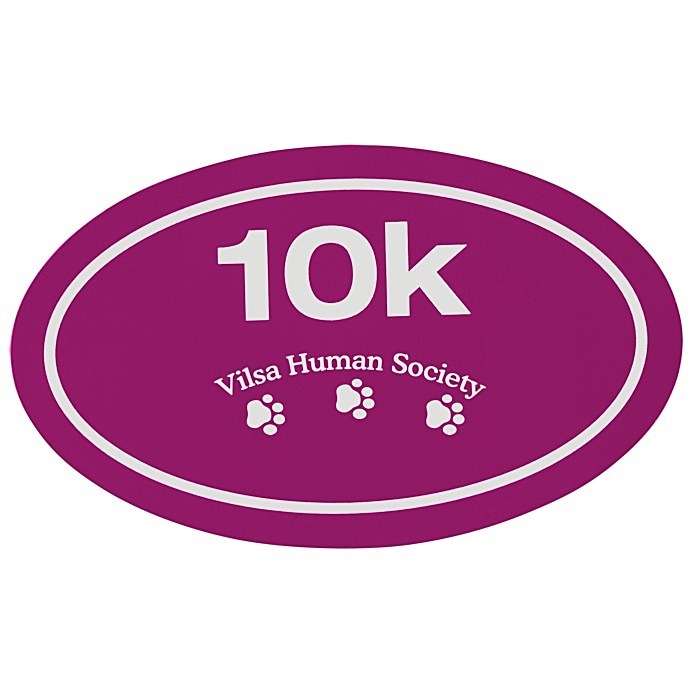 Your message will have a long-lasting impact—these durable stickers have a lifespan of more than two years outdoors. No one will hesitate to put this bumper sticker on their car with the removable adhesive. Start with the bright white vinyl or clear polyester background and build your image from there. Apply this sticker to hard, clean, straight surfaces such as glass, metal and wood. The brand-boosting stickers can also be stuck on lockers, file cabinets, luggage and other personal items. This sticker is an ideal handout for advertising races, selling at footwear shops, handing out at 10k marathons and much more! Size: 76 x 127mm (3" x "5). 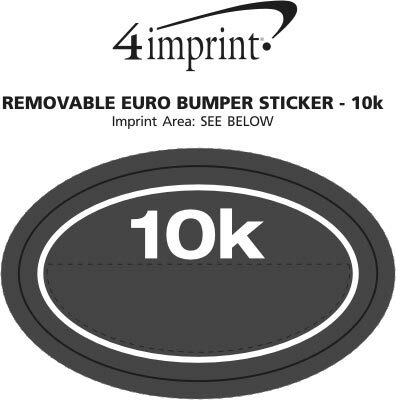 Your price includes a one colour imprint with a matching 10k encased in a an oval.